Claressa gets warm before fighting in the semifinals at the PAL tournament in Toledo, Ohio. 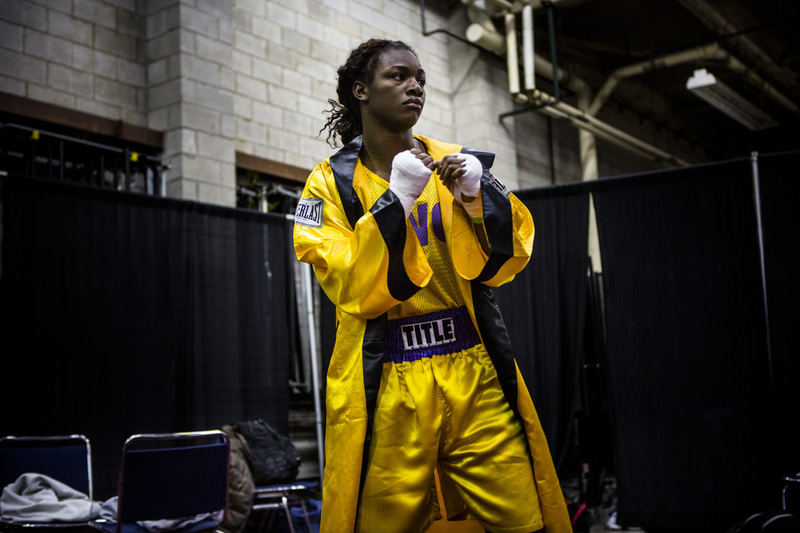 A year ago, Claressa fought her first non-junior amateur fight at PAL, qualifying her to compete in the Olympic Trials, which eventually led her to the Gold Medal in the Olympic Games. This is her right before her first fight since the Olympics.